Years ago, I vowed to stop wearing shorts. I decided they were unflattering; the super short versions cheap looking, the longer seemed too 'retirement community', and so I was done with them. My love of breezy skirts and sun dresses kept me cute and comfortable through the summers and I never missed wearing shorts. However, due to my daily exposure to fashion blogs and wardrobe_remix, I've been seeing lots of people wearing shorts and looking adorable. Slowly my resolve began to erode, and when I saw some cute wool shorts in the Gap, they stuck in my mind. It wasn't until about two weeks ago that I finally decided I wanted them, and of course by then only the size 16 were available, so I headed to ebay. I scored them in the brown tweed for $16 shipped. They arrived the other day and I tried them on with socks and pumps. Today I wore them, and I think I like them. It was such a beautiful day; I took a bunch of photos and breaking from my usual form, I've decided to bombard you with images. I really like the idea of a blazer with shorts, so the velvet blazer was an obvious choice for today. I really like it with the sleeves folded up. Partly because they are too long for me and I don't want to hem them because I will have to move all the buttons and I'm a little lazy. Folding them is much simpler, and they stay put. For the style challenge, only two more looks with the blazer to go! Look One here. These needed to be belted - dispite being the same size as every pair of pants I have from the Gap, these are oddly about an inch too big. I wanted to tie in the green tights, so I chose this necklace that I made some time ago. I made it to be worn long, but I decided to double it so I didn't interfere with the ruffles. I decided to wear flats again, but I think heels would look much better with the shorts. This is my first time using this brown bag I got a couple weeks ago from Avon. I like the size and the color. It isn't leather, so it was cheap, and I love it's bright yellow lining. 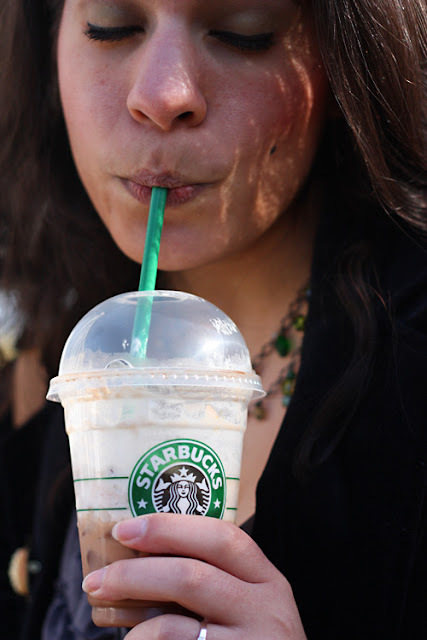 Today marked the first day of the year where it was warm enough to order an iced beverage from Starbucks. I tried their new drink, the black cherry mocha. It was tasty, but I think I will stick with my usual (grande iced coffee with a pump of vanilla). 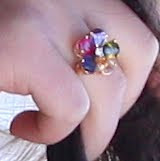 Today I wanted to wear my little multi-colored flower ring that I got for Christmas, but I couldn't find it! According to my outfit photos, I last wore it January 16th, and I spent the better part of the morning searching every place I could think of, including every purse I've used in the last two months. No ring. I did find a pair of earrings I didn't even yet realize I'd misplaced. I'm sure it's in the house somewhere, so I guess I just need to stop looking and wait for it to turn up. The Shorts look great on you. Oh my god! This is so great! All the little details the tights the necklace the bag! Is that from Avon the cosmetics co.? You look great and I love your hair! I am really unsure about shorts as well. I hardly even have any because I gave most away. BUT I really like how you styled them with the tights. The colors seem just right together. I would love to see a shorts-tights-heels combo. Those look so cute on you! I find I can only wear shorts when they sit higher on my waist or else they enhance mah big bootay. i like the way you styled them! 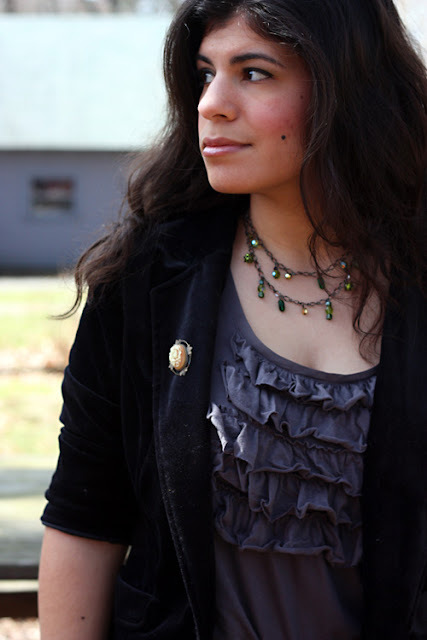 they look good with your ruffle top and cute blazer (love the broach too). 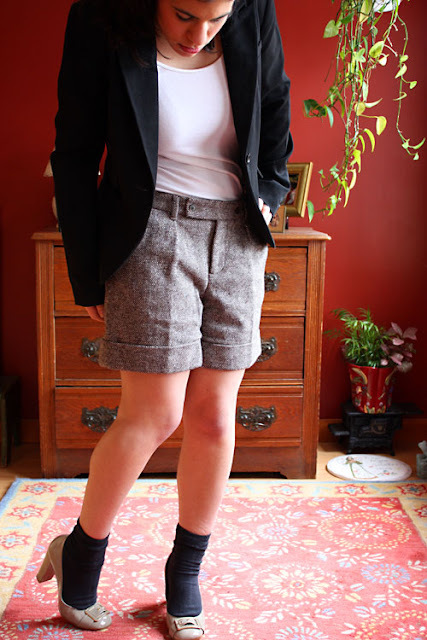 The wool shorts with tights and pumps look is big in Spain (at least, when I was there). That shot of you with the purse is a great one! I tried the dark cherry mocha- same reaction. Twas tasty, but I prefer my tried and true vanilla latte. those shorts a so frickin cute. i loove them. I love the shorts! Very classy and cool. I need to get a pair like them- my one stab at 'classy shorts' was great, but now that I've gained some weight they're shorter than I remember. Love them especially with tights! Oh... I love me some Starbucks iced or no. I really love this whole outfit! The tights, the texture of the shorts and the blazer, the little ruffles on the blouse, you've thrown in so many of my faves in one outfit! 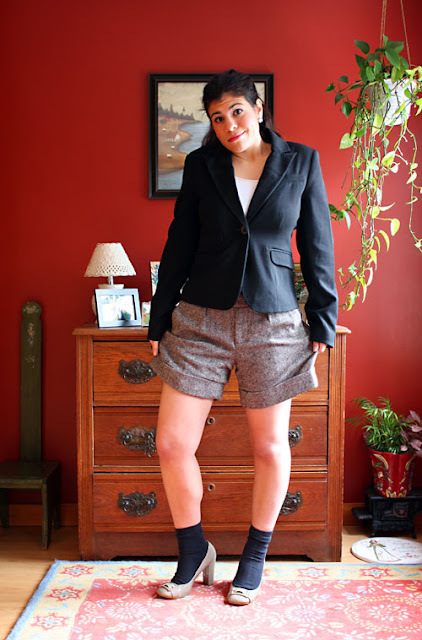 I must copy soon- I have a few velvet vintage blazers to try out with shorts now! 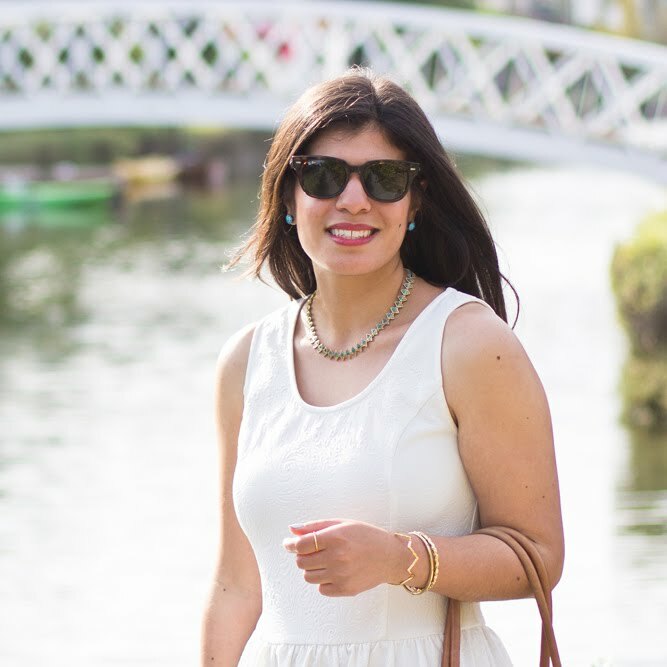 loved the second way you styled it! the ruffles and the tights look fabulous. The shorts are adorable! I love both looks. I've been on the hunt for a similar pair in the thrift stores; maybe I should move my search to Ebay. Gorgeous. Love them with tights. I totally have a pair like that from Zara that I've yet to rock! You look great in the shorts! I have the same pair and wore it similarly with a blazer and tights! It's a fun alternative to a skirt. Ky-oot! You wear those so well! I like the styling too, the green tights look especially good with that nice tweed. That velvety blazer is so lovely. Loving the shorts, and they look so chic with the olive tights!